Get Extra Cash This Holiday with GreenBuyback! With the holidays quickly approaching, it seems as though there are a million presents to buy, hostess gifts to finalize, and parties to attend. Though you want to wow everyone in your life with wonderful gifts, often the spending can simply get out of control. You spend here and there, and before you know it, you’re broke before the holidays. However, we have just the solution for your money woes. Instead of sifting through your car’s glove compartment and couch cushions for coins, head to your junk drawer and take out all of the tech devices you have - we know you have them! Perhaps you have old phones, headphones, gaming consoles, smart watches, or wearable devices just lying around? Send them to GreenBuyback and you’ll get cash for your stuff! Seriously, it’s that easy. Empty your junk drawer only to find that all of your old devices are broken or have water damage? No need to worry, GreenBuyback is all about recycling technology; in a world where everything is “new, new, new,” we can’t forget about taking the older or broken items and giving them a new lease on life. Green Buyback purchases items even when they’re broken! 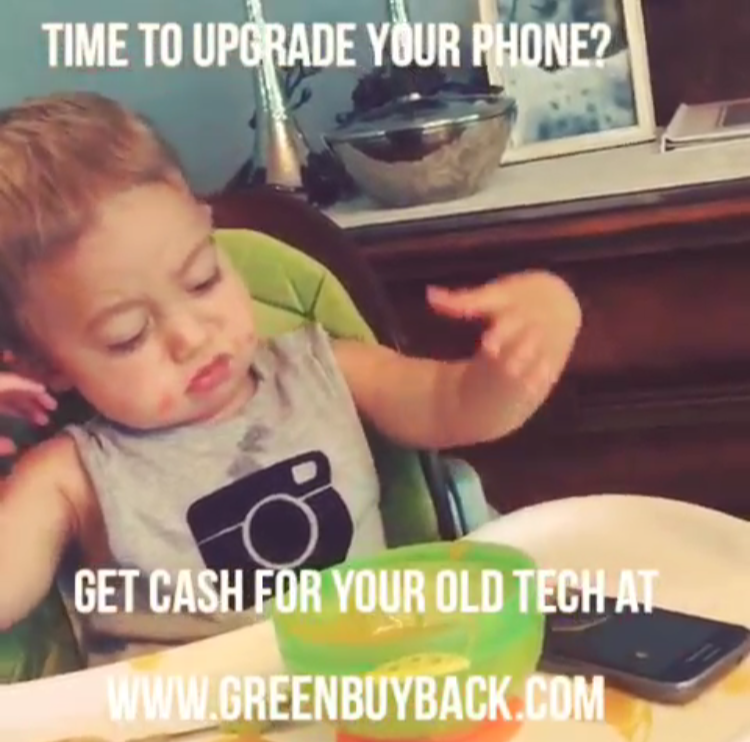 GreenBuyback simply will never turn down a broken device - if the device is listed GreenBuyback, simply choose the “damaged” condition pricing and proceed to checkout. So, you’ve got more gifts to buy and can’t figure out how to afford them? Head GreenBuyback, get a free quote on all of your old items, use the pre-paid shipping label and send them in for cash - then go shopping while the sales last! One of the top gifts to get for the holidays are new tech devices; but, what to do with your old ones? It’s a win-win situation all around this holiday season with GreenBuyback! Open your new phone, tablet, or headphones, on Christmas morning and instead of throwing your old devices back in your bedside table drawer, as you’ve always done in the past, package them up and send in your old tech to GreenBuyback; you’ll have a new device in your hands, and cash to spend from your old device, too! Know someone who is getting new devices this holiday season, or are you giving new devices to someone? 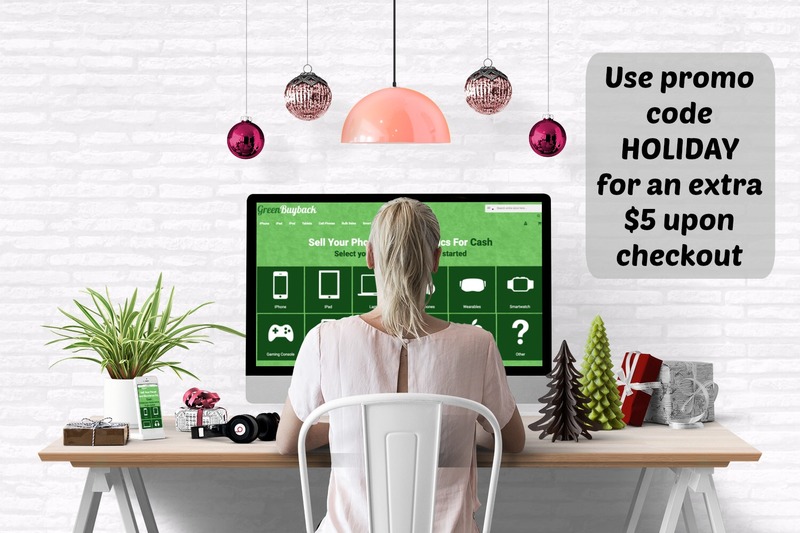 In their holiday card, let them know that not only is GreenBuyback the best place to sell unwanted, old, or broken, or water damaged tech devices, but if they use the promo code HOLIDAY, they will get an extra $5 at checkout! It’s like an extra stocking stuffer you didn’t even have to buy! Since it’s the season of giving, Green Buyback is giving you $5 more, in our special promotion, for sending your old tech devices in to us; we are committed to recycling tech, and we want to thank you for taking the time to send your devices to us! 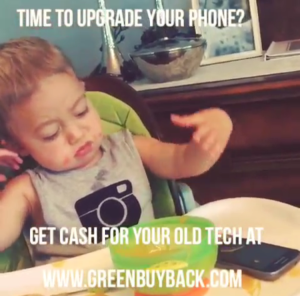 Don’t let your tech devices keep collecting dust this new year; head to GreenBuyback and start collecting cash instead of old tech devices! This entry was posted in Announcement on December 16, 2016 by Admin. Top 5 Gifts for the Tech Obsessed! With the holidays just around the corner, it’s the perfect time to start shopping for all the tech-loving family and friends in your life. But, with the enormous amount of tech products on the market, how can you pick the best? We’ve rounded up five of the coolest new tech products on the market to help you make your shopping a little easier. 1. iPhone 7: Ever since the birth of the iPhone, there hasn’t been a time when the phone wasn’t considered the best holiday gift ever. However, the new iPhone 7 has souped up featured certain to wow even the most tech-obsessed family member. Though the overall look of the phone hasn’t changed, don’t be deceived - there are a ton of new and improved features. Your eyes will be thanking you, as the phone’s display is the brightest and most-colorful iPhone display the company has ever shipped. Get your selfie-game strong with the new 7-megapixel sensor on the front facing camera - finally! Speaking of cameras, the rear-facing camera on Apple’s 4.7-in. iPhone 7 model now features a 12-megapixel sensor with optical image stabilization; this means crisper, brighter, and more professional photos. The new phone does not have a headphone jack any longer, however, this means that the phone is the most water resistant iPhone ever; this means the iPhone 7 is completely dust and water resistant, earning the device an IP67 rating for the first time in history. Another very cool feature on the new iPhone is the stereo speakers! All of these features add up to one very much improved and amazing new iPhone. 2. Google Pixel: If you’re looking for a wow-factor gift this holiday season, check out the first ever phone from Google, the Pixel. This is the first phone with Google Assistant built in; what does this mean for you? Google Assistant can manage your everyday tasks, create appointments, manage your travel plans, find photos, music, and more. For all of you photogs, the Pixel has the highest rated smartphone camera, ever! Pixel’s camera lets you take photos in bright or low light, just like a real camera. But, the coolest thing about the Pixel? Say goodbye to those annoying “storage is full” pop-ups, because the Pixel has unlimited storage. Unlimited! How cool is that? With the Google Duo app, you can finally FaceTime with friends and family on both Android and iOS devices. Plus, the Pixel has crazy good battery life and charges super fast. We highly suggest snatching this phone up as soon as you can (and grab some extra for your friends and family!). 3. iPad Pro: If you have friends and family who love to travel or work while on-the-go, this is the ultimate techie gift for them. The iPad Pro is leading the new wave in personal computing; coming in two sizes, this new iPad is bound to be the perfect travel and work companion for many of your loved ones. Their new and improved screens have the highest resolution of any iOS device; and the 9.7-inch iPad Pro screen is the brightest and least reflective in the world. Since techies tend to use their iPads everywhere they go, the new True Tone display utilizes advanced four-channel ambient light sensors to automatically adapt the color and intensity of the display to match the light in your environment. What does this mean for you? Less strain on your eyes, and a more natural work environment. Each corner of the iPad features a hi-fidelity speaker, so no matter which way you turn the screen, you’ll be fully immersed in sound. As this new iPad is faster than the average laptop, you’ll want to gift this device many times this holiday season. 4. Nexus 6P: Though the Google-branded Nexus 6P isn’t a brand new tech device, all of its features and credentials make it a wonderful holiday gift this season. Made from aeronautics-grade, anodized aluminum, this phone is super strong, and yet very slim as well. With a new and improved camera, boasting a 12.3-megapixel Sony sensor with f/2.0 lens, the Nexus 6P is perfect for travel, photography, and even videos, with its ability to shoot 4K videos and slow motion, as well. The front camera, for selfies, is 8-megapixels, which is a huge step up for the Nexus line. One of the coolest aspects of the Nexus 6P smartphone is the Nexus Protect Program; for only $89, you get 2 years guarantee against mechanical defects, along with 2 years of worry-free usage as cracking your screen is covered under it. But, wait, there’s more! If you damage your phone, Google will actually send you a loaner phone within a single business day to help you until your actual phone is repaired. Pretty cool! 5. Fitbit Charge 2: Of course, it’s not a holiday season without someone asking for a fitness-tracking wristband. With the wave of popularity in the Fitbit, the new Fitbit Charge 2 has some pretty cool new features. With interchangeable accessory bands, the Fitbit Charge 2 tracks your heart rate all day, all the time, maximizing your workouts and helping you to improve your overall health. The Fitbit Charge 2 has the ability to Track steps, distance, calories burned, floors climbed, active minutes & hourly activity with up to 5-day battery life. This Fitbit is made for your life, as it can alert you of texts, calls, and calendar alerts - and when life gets overwhelming? You can focus on the personalized breathing sessions based on your real-time heart rate. For the techie who loves to workout, or is interested in learning more about health, the Charge 2 is the perfect holiday gift. With so many cool tech gifts out there, it’s hard to choose just which one is perfect for your loved ones, but the iPhone 7, Google Pixel, Nexus 6P, iPad Pro, and Fitbit Charge 2 all feature such unique and personalized characteristics. When the holidays come around and you give and receive all these cool new tech products, don’t forget to head to GreenBuyback and send in your old tech devices; you’ll be saving the planet and earning a little holiday spending money! We make it so easy with our pre-paid shipping, all you have to do is gather up your old tech devices, and we will take care of the rest. Happy shopping! This entry was posted in Technology and tagged iphone 7, google pixel, cool tech, tech, gifts, christmas gifts on November 27, 2016 by Admin. Cell phones may not be the first thing that pops in your head when you think about eco-consciousness, but they can actually be a great tool to help preserve the environment. Whether by buying a “green” phone or using the many sustainability apps available, you can make a difference. If you’re looking for a new phone and want it to be as green as possible, there’s a series of things that you should keep in mind. Many phones on the market today are made of recycled materials. Samsung has been a pioneer in manufacturing phones made almost entirely of waste material, such as the Galaxy Exhilarate, the Replenish and the Evergreen. These models are also much cheaper than the latest iPhone. Make sure that you always research the options out there, many websites exist that can help you compare prices and information like GreenMatch. If you want to really step up your game, you could consider buying a solar-powered phone such as the Micromax, which is also very cheap (around 40$) because it was created for developing areas with low access to electricity. Charging your phone every few hours does the environment (and you) no favors. The longer your phone’s battery lasts, the more energy efficient you’re going to be. Plus, you won’t have to worry about your phone abandoning you mid-day. Some phones, such as the Evergreen, also notify you when they’re done charging, so that you don’t waste any energy. The more functionalities your smartphone includes, the fewer gadgets you will need to use on the side. If your phone has a good camera, radio, calculator, maps et cetera, you won’t need to buy any extra devices. By consolidating all of your gadgets in one, your impact on the environment will inevitably be lower. Producing a cell phone always requires the use of hazardous materials and fossil fuels, so buying an old one means helping generate a little less pollution. Nowadays, people tend to replace their phone just to get the latest upgrade, regardless of whether it’s broken or malfunctioning. 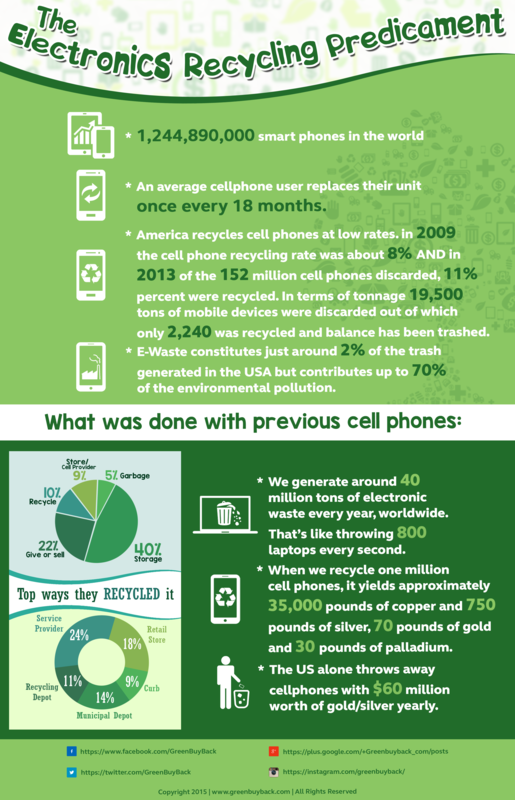 Many individuals choose to sell their cell phones to Green Buyback to help them recover cash and protect the environment. That means the market is full of hardly used phones you can buy, thus extending their life and helping lower the disastrous amount of e-waste. 5) Don’t forget to recycle! If you made up your mind about which new phone to buy, it’s now time for you to decide what to do about the old one. That decision is an easy one: recycle. You can sell your old phone back for cash, even if it’s broken. It makes absolutely no sense to simply trash your phone, when you could easily sell it. Even if it’s not worth much, you’ll still be doing the environment a favor by not contributing to e-waste and pollution. This entry was posted in Going Green! on December 18, 2015 by Admin. Please feel free to spread the word and use this infographic on your own website. Please use the following code below to place the image on your website. <img src="https://blog.greenbuyback.com/wp-content/uploads/2015/10/The-Electronics-Recycling-Predicament-Infographic.png" >The Electronics Recycling Predicament infographic by GreenBuyBack. Don't contribute to e-waste, make sure to sell your cell phone and electronics at <a href="https://greenbuyback.com/">greenbuyback.com</a>. Help protect our environment, and get paid to do it. This entry was posted in Going Green! on October 30, 2015 by Admin. Our customers have previously sold us thousands of damaged cell phones and tablets. Sometimes these sales come with a story via email or phone call. We wanted to outline the top ten issues we have seen when we receive a damaged device. Hopefully you can keep you electronic device safe by reading this top ten list. If you do find yourself with a damaged device, you can always still recoup some cash for it by selling your phone to us here. We have personally seen items sold to us that had dog bite marks in the phone! These devices do not make great chew toys we can assure you! Keep all devices out of the reach of animals. Chewing on them is not the only way an animal could ruin it. The dreaded #Bendgate! We have seen phones come in that have been severely bent by sitting on them when they were in someone’s pocket. Keep that protective case on and try to keep it out of your pocket. It doesn’t take much force to sit on an iPhone 6 to ruin a great phone. Selfies.. We’ve all done it. Unfortunately for some people accidents do happen! Dropping that phone from a high area can easily shatter the LCD and cause some major issues for the phone. We would recommend a trusty selfie stick for those selfie moments! We actually picked up a selfie stick for the office to play with and they work well! Be careful if your child gets a hold of your phone! We have seen water damage caused by drool or liquid baby foods on devices that were traded in. Babies also have a tendency to throw objects. Be careful if you let your child watch their favorite YouTube channel on your phone or tablet. We would recommend a super heavy-duty case if you are letting them play with your device. Why would you pay that guy in the mall to fix your screen? You’ve seen the parts on eBay for $2 so what could be the big deal? A simple fix can turn into quite the nightmare if you attempt to repair your damaged device with no experience. We would recommend sticking with professionals to repair your device. Although there are good tutorials on the web, if you are not trained, you could cause even more damage by attempting to repair your device yourself. It sounds simple – and everyone knows someone in their circle who has a rooted/jailbroken device. This process can actually require a lot of research to be done properly. In some cases if per formed improperly, you can actually brick the device. This is quite an expensive mistake to make. We will still buy your bricked device but would recommend either not jailbreaking at all or turning to an expert before doing so. A lot of our damaged items are due to workplace accidents. We have seen phones covered in paint, phones completely soaked with water still inside them, phones that had been run over, phones dropped great heights, and much more. Make sure to keep your protective case on and be careful at work! We are not sure exactly what happened, but we know a lot of damaged items that we purchase are water damaged. We have heard stories of drops in showers, lakes, pools, hot tubs and more. Spills inside of bags and purses where tablets and phones were stored have also ruined some devices. Always remember that your device is very sensitive to water. Even the smallest drop inside of the charging port can potentially ruin your device. Keep them away from liquid! These are the craziest items we purchase. These devices have been left on top of cars, taken a bad ride on a freeway, and completely demolished. We receive many items that have been crushed.. some still power on! In these cases we try to salvage the parts but we always still buy them back! This entry was posted in Technology on September 25, 2015 by admin. iPhone 8 is Coming Soon! Lock in Your Trade Value for 30 Days NOW!